Hello and welcome to exampundit. As requested by Soumen, today we are sharing How to get EWS Certificate for Bank and Govt Job Exams. 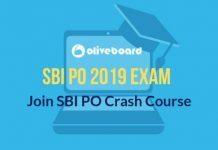 This will be important for IBPS exams, SBI Recruitment Exams, CWC Recruitment Exam as well as SSC CGL. Persons who are not covered under the scheme of reservation for SCs, STs and OBCs and whose family has gross annual income below Rs 8 lakh (Rupees eight lakh only) are to be identified as EWSs for benefit of reservation. Income shall also include income from all sources i.e. salary, agriculture, business, profession, etc. for the financial year prior to the year of application. The property held by a “Family” in different locations or different places/cities would be clubbed while applying the land or property holding test to determine EWS status. The term “Family” for this purpose will include the person who seeks benefit of reservation. His/her parents and siblings below the age of 18 years as also his/her spouse and children below the age of 18 years. So, you have to go any of the above mentioned person and get your EWS Certificate for Bank and Govt Job Exams. 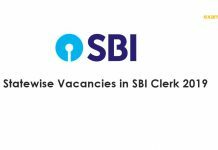 This will help you to avail the 10% reservation in Bank and Govt Jobs. Also, there are few things you have to know about EWS Certificate for Bank and Govt Job Exams. 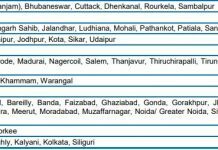 Do you need to Apply with EWS Reservation in Exams? We recommend, YES. Because, you can either get your job under EWS Reservation. However, if you score better, you will fall under General Category. So, there is no loss in availing the reservation. A person belonging to EWS cannot be denied the right to compete for appointment against an unreserved vacancy. 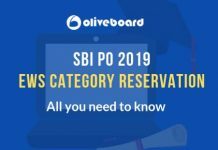 Persons belonging to EWS who are selected on the basis of merit and not on account of reservation are not to be counted towards the quota meant for reservation. 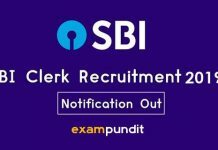 Where is the Official EWS Certificate Format for Bank and Govt Jobs? You can be disqualified if you are producing a Fake Certificate. So, don’t ever try to do that! 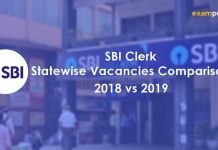 This will be important for IBPS PO 2019, SBI PO 2019, SSC CGL and CWC Recruitment 2019.